Us Australians have an interesting attachment to the outdoors, the blessings of year 'round perfect weather has no doubt played a part in this blossoming relationship. Indoor/outdoor living is quite frankly in our blood, so it makes sense to enjoy our outdoor spaces, and if we're selling, ensure that it's in good nick to romance potential buyers. Why should homeowners and sellers bother with landscaping? When we hear about sprucing up our properties in preparation for a successful sale, we're often told to focus on the interiors. We get the age old advice of giving your walls a fresh coat of paint and making sure not one corner of your home looks like it could be featured on an episode of Hoarders. But did you know that your landscaping and quality of your garden could be equally, if not more important? 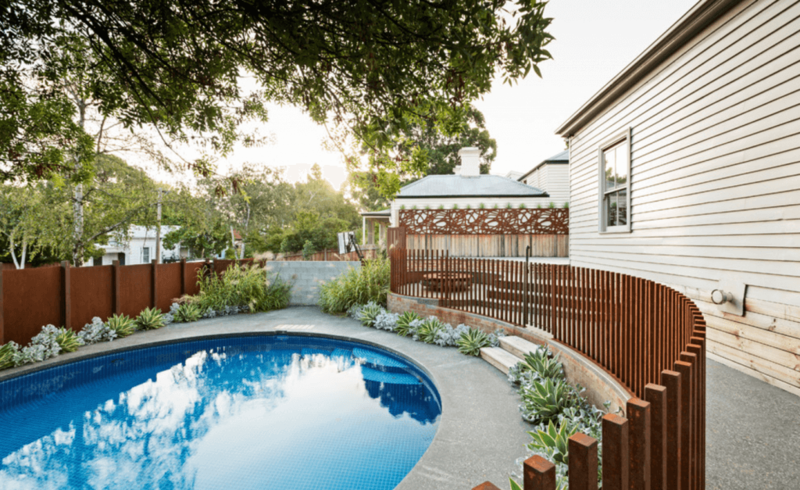 Landscaping can add tens of thousands of dollars to the value of your property; in fact, landscaping is one of the few home improvements you can undertake that not only immediately adds value, but actually increases in value over time. Think about it, while paint peels and kitchens and bathrooms date, plants become more bountiful and robust as the years go by. The monetary benefits of a landscaped garden aren't just apparent when you sell your home; a well-designed garden, including insulating hedges, shady trees and bushes by windows that receive harsh sun exposure has been shown to decrease the need for heating and air conditioning by close to 20 percent. "According to research, good landscaping can add up to 28% to your home's overall value." Let's hear from the experts: how much value can a landscaped garden actually add? But the question remains, how much does a property increase in value with excellent curb appeal? And is all the work involved in investing in landscaping and then maintaining it worth it? According to landscape economist John Harris, good landscaping can add up to 28% to your home's overall value. And according to a research paper by Clemson University Professor Mark S. Henry, even taking your landscaping and gardening efforts from 'good' to 'excellent' could add significant value to your home - at least 6-7%. It's also interesting to note that 70% of real estate agents who were interviewed for the 2011 Husqvarna Global Garden Report believed that a neglected garden lowers property prices by somewhere between 5-15%. Another 17% believed the effect could be even higher. According to the report, the garden is intimately related to the overall appeal of the house, and an attractive garden has the power to influence a buyer's perception of a property. To prove this theory, Husqvarna split a group of 5,000 homeowners into two and presented the first group with pictures of houses with beautiful and well-maintained gardens; the second group was presented with exactly the same houses, but with plain-looking gardens. The first group on average guessed a whopping 26% higher market value than the second group. Real estate agents who were interviewed for the same study believe that a well-maintained and landscaped garden doesn't just positively influence sales price, it can also reduce time spent on the market. 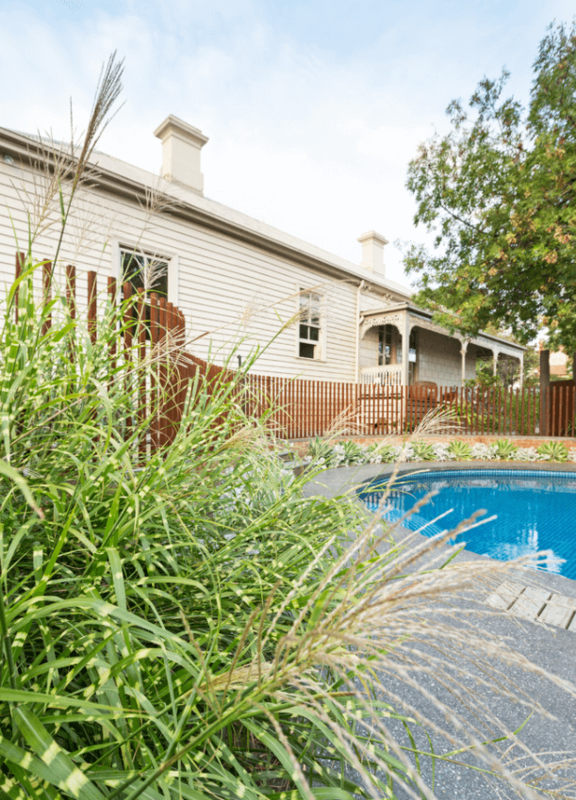 We spoke with Paal Grant, award-winning Melbourne based landscaper to find out his top garden tips for improving your home's value. I've heard one of the biggest mistakes when it comes to landscaping is a lack of planning. For example, people might plant a tree, then a few years later add in a flower bed. What are your thoughts on this kind of approach? That approach works for some people but it's always good to have a plan, because you get that input from the start and get a better result. However if your property has good existing bones and trees, you just have to work out which stuff to keep and then work around them to make them the feature. Good design involves repetition, colour, tone, texture and keeping things simple. Usually that appeals a lot more to people than having, for lack of a better word, a dog's breakfast. If you can pull off having a whole range of plants together without any planning, you're a master gardener and that approach can be interesting. It's similar to cooking, if you throw in a million ingredients it can taste pretty awful. What are some of the common mistakes people can make when designing their garden? One of the common mistakes is forgetting that things grow, and if they're not maintained your plants can be too close to one another, but if you maintain them and cut them back it can help. Yeah gardens can be really difficult, sometimes you think something is going to grow and it doesn't for a multitude of reasons - not enough shade or sun, not enough water or the soil is no good. It's all in magic dirt really, if you have good soil and orientation and select pretty hardy plants and you're not a gardener, then you should be ok.
Do you believe that landscaping adds value to a property? It certainly does, though it depends on what type of landscaping, I know for real estate sales, brand new turf should be considered. Freshly laid turf at the front of your property when people walk in makes a world of difference. Also, depending on the area you're in, putting up a deck, investing in paving and driveways can be a crowd pleaser. For these sorts of things you really need to get a good designer or have a good idea of what looks good. - Paal Grant, Circle Pool Garden, Hawthorn. "If you think about it, patios, swimming pools, outdoor rooms - they're all extensions of your house and it's just the way Australians like to use their space. If that's done correctly and you're selling your property, people will fall in love." 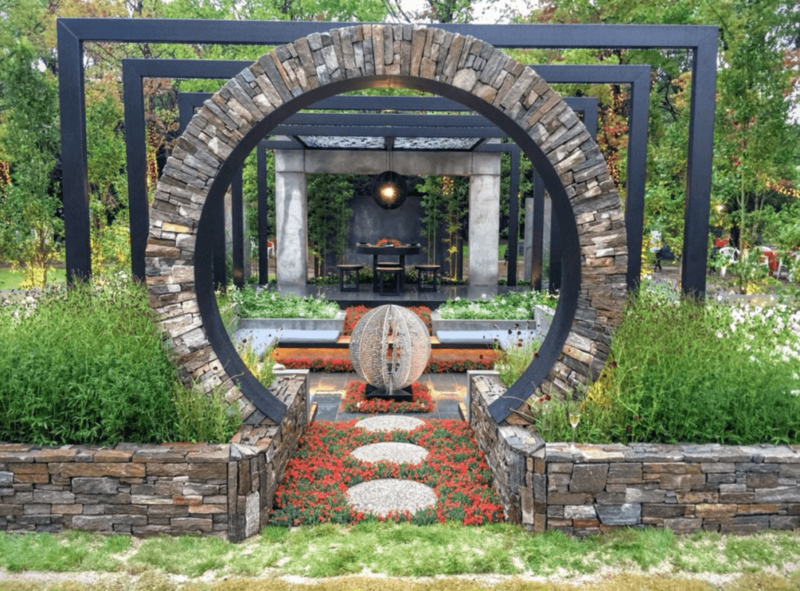 What are the benefits of a well-designed garden? If you have a well-designed garden, it's a nice place to come home to and you'll enjoy it. They say that when you build a property with a budget of 400k, spend 10% on the garden; I'd push to say 30% on gardening and landscaping because I think that figure is way out. If you think about it, patios, swimming pools, outdoor rooms - they're all extensions of your house and it's just the way Australians like to use their space. If that's done correctly and you're selling your property, people will fall in love. When my home went to auction, people hardly even looked at the house; they went straight to the backyard and that's where the auction was held. It ended up going for 150k more than a similar property around the corner which didn't really have a garden. If someone came to you with a brief for landscaping with the purpose of adding value, what would be your advice? Keep it green, pruned and tidy, give everything good mulch, water and feed. It's good to replace a few plants, just rip a few things out that really aren't working. Would you advocate for the use of recycled materials? If so, what are they? Yeah, recycled timber, second or third hand is nice, especially if it's good class 1 hardwood for exterior use. When it's sanded back and de-nailed, it's worth more than new timber. Unfortunately the older something looks, the more it costs you. Seriously, avoid mock turf. I mean, I use it if it's needed if the property can't have irrigation or if nothing is going to grow, on say a rooftop or tennis court or something like that. Otherwise, don't use it as it costs a fortune to get rid of. I think the equivalent look is how in the 80s people would clad houses with fake bricks. While there's no maintenance, it looks bad over time. However, it is still a material, so you could use it in interesting ways, like to clad an outdoor couch or to clad a wall. What would you say are the best plants for screening and privacy? 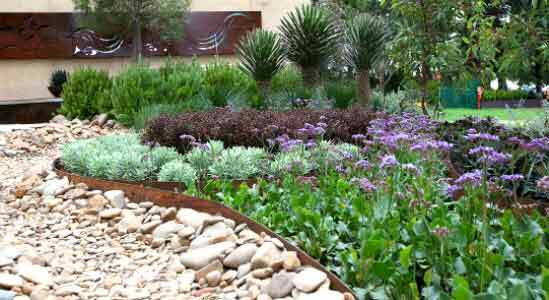 It really depends on the region you're in and how big your garden bed is; people tend to have very narrow garden beds. I think capital pear trees, which are deciduous and really popular in Melbourne, are really nice. Also bamboo for double storey or three storey houses are nice, usually about 2m away from your window. Native lilly pilly hedges are great too. Do you have any recommendations for fast-growing trees? Eucalypts are fast-growing trees and there are millions of varieties. Natives in general usually grow a lot quicker in our conditions than other plants. Bamboo is really fast too and I think creepers are good for walls. It's interesting, people are scared of trees but I really think people should plant more. 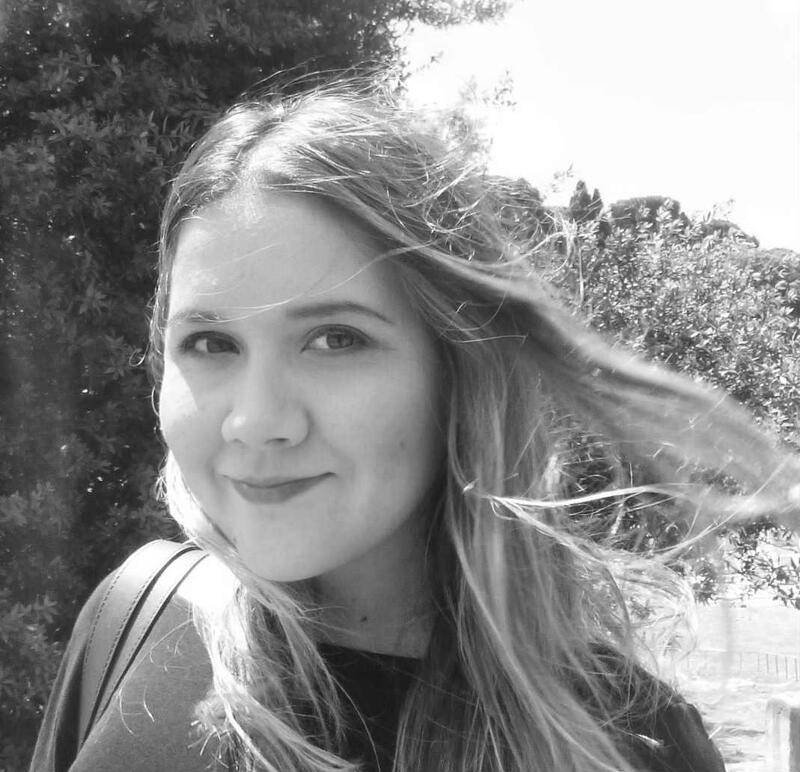 "The indoor/outdoor living thing is still really big in Australia because people have smaller properties - so it's important to have a usable outdoor space to socialise and interact." Do you have any comments on trends you're seeing in landscaping and outdoor spaces in Australia? The indoor/outdoor living thing is still really big in Australia because people have smaller properties - so it's important to have a usable outdoor space to socialise and interact. That's a huge part of Australian culture. In fact, our culture is quite unique in that way. I was just in Japan, and they use gardens very differently to us. We use them for socialising and parties, and they use them more to look at. In an Australian content, it's important for our outdoor spaces to be functional - and while a lot of people think it's normal to have a BBQ in your backyard and host a party all around the world, it really isn't. How Australians use their gardens is so different. 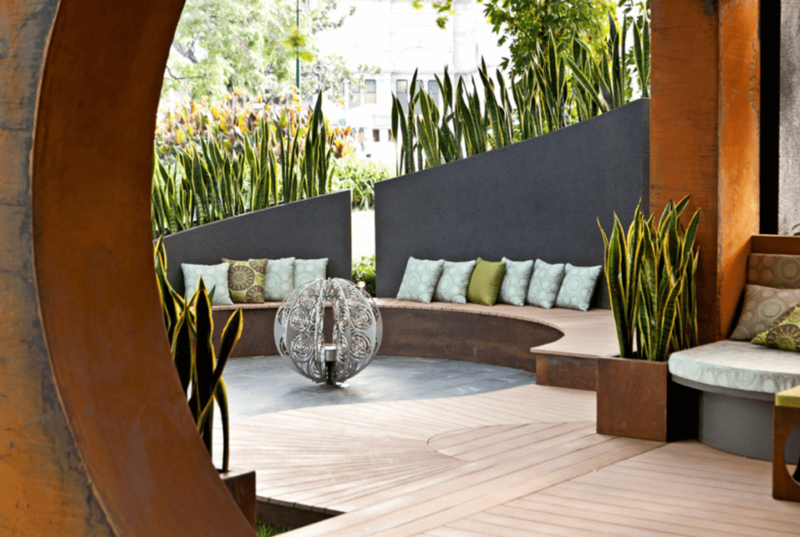 I'm also seeing a lot of firepits, conversation pits, in-built seating, outdoor kitchens, laser-cut screens, steelwork, outdoor art and sculptures. Do you have any advice for people looking to hire a professional landscaper? First of all, it's probably good to look at some photos of their work, but also, word of mouth is important. Not all designers are good for everyone, so you need to find someone you can relate to. There are a lot of good designers out there, but also a lot of unregulated landscapers, so it's good to make sure you have a look at one of their jobs - ask them if they can take you to see one of their client's jobs and then you can speak to the client about how they work. Design is really undervalued in Australia, so it's important to not always go with the cheapest. You will get a better result if you get a designer to produce a design first and then work out what you're going to spend. Remember it isn't always about the money. My other tip is to find a designer who knows how to draw in 3D and render their drawings so their clients can see what the design will look like. Find out more about Paal Grant.